With the first union budget of the new government only a few days away, the much awaited pre budget rally has finally arrived. The Sensex and Nifty have rallied to cross the psychological 25,000 and 7,700 levels respectively. The rally is expected to continue till the union budget and even beyond. As per research reports of the top brokerage houses, the budget is only the first step of a long term secular bull market rally. However, there are causes of concern as well, like the crisis in Iraq and the delayed monsoon. However, the market experts are forecasting that, the Sensex and Nifty will end 2014 much higher than the current levels, especially if we get a good budget, as is widely expected. Many retail investors are concerned, if it is wise to enter the market at such elevated levels. Some stocks have indeed run up quite significantly in the past few months, and there are concerns about their upside potential, at least in the short term. In this article, we will discuss some stock recommendations made by the top brokerage houses in the country over the last 2 weeks. For our selection, we have chosen only large cap stocks belonging to the BSE – 200 basket. Further, we have restricted our selection only to stocks, which have at least a 10% upside potential over the current market price, based on the target prices suggested by the brokerage recommendations. Here are the top brokerage recommendations by sectors. It is no surprise that Banking and Finance stocks dominate in the recommendations made by top brokerage houses. We had seen in our article, Where are the mutual funds deploying your funds?, that mutual funds have been increasing their allocations to Banking and Finance sectors over the past few months. We have both private sector and public sector banks and finance companies in our selection of top brokerage recommendations. The performance of the Oil and Gas sector is heavily dependent on governmental policies, e.g. gas pricing, subsidies etc. It is also dependent on global political and economic factors. There is a lot of hope that, the new NDA government will address the key issues facing this sector in the union budget and also through policy and administrative actions outside the budget. Investors in the Oil and Gas sector should closely follow the developments on the policy front. Here are brokerage recommendations for this sector. The upcoming union budget has been characterized by the media as the “budget of hope”. It is expected that the government will announce steps to kick start the revival of the investment cycle in the economy and simplify procedures for project clearance. Based on these hopes, stocks in the capital goods sector have been doing well over the past few months and will continue to trend higher, if they receive the stimulus that they have been hoping for from the government. Here are two capital goods sector stocks, both public sector companies, in our selection of top brokerage recommendations, based on the considerations discussed earlier. Metals, another cyclical sector, will do better, if the investment cycle in the economy revives. We have 2 metal names in our selection, one from the private sector and one from public sector. We also have three media and entertainment stocks in our selection of top brokerage recommendations, based on the considerations discussed earlier in this article. These are Zee Entertainment, PVR and Sun TV Network. 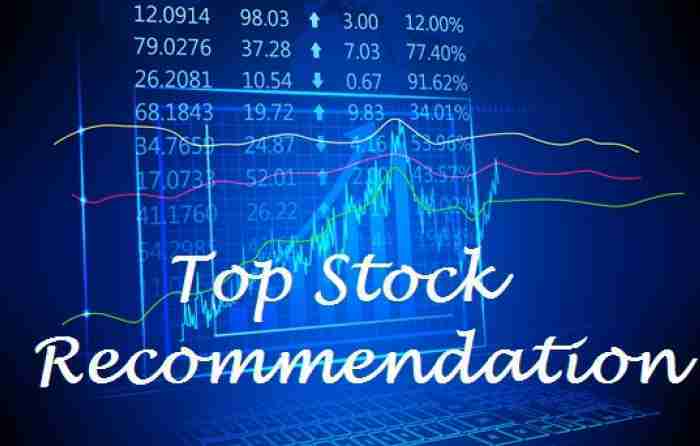 In this article, we have discussed some top brokerage stock recommendations. Investors should note that, there are risks associated with investing in equities. Investors should ensure that the associated risks are aligned with their individual risk profiles. The performance of these stocks will depend on a variety of macro-economic and sector specific factors. Investors should consult with their financial advisers, before taking a position in any of the scrips mentioned in this article. If after investment, the targets are achieved, investors should discuss with their financial advisers, if they should remain invested or book profits.